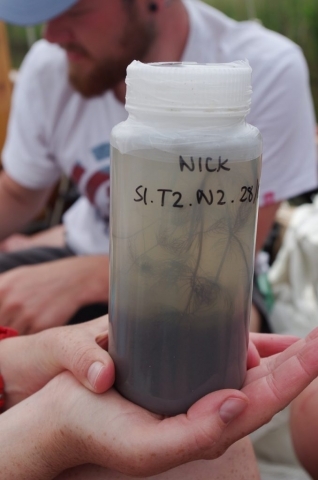 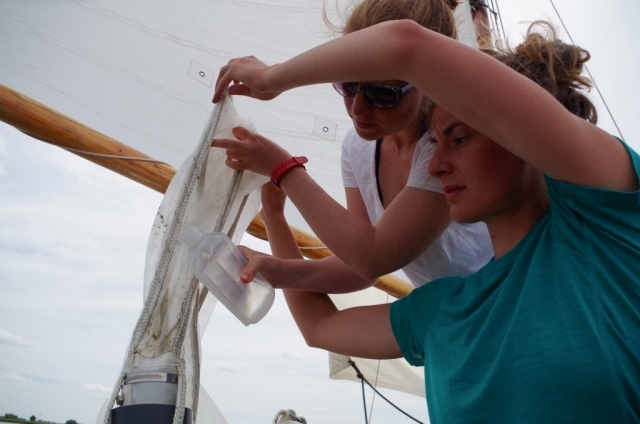 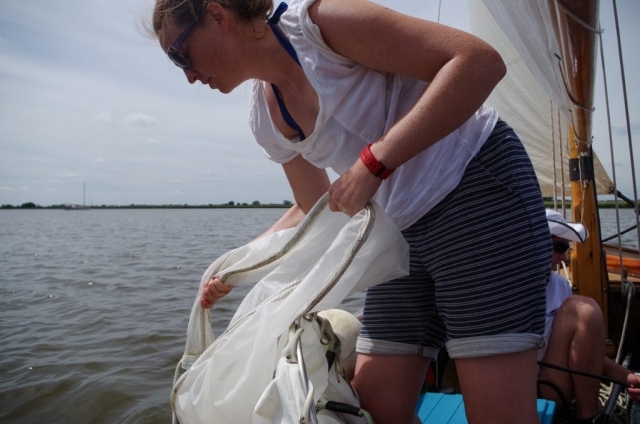 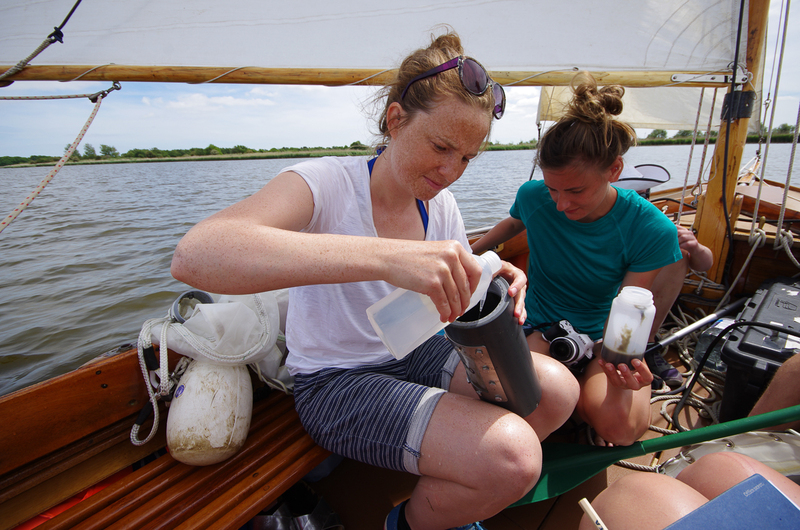 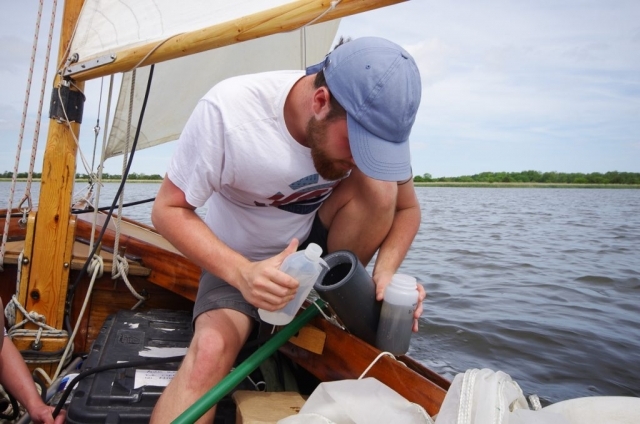 Our first expedition of the 2017 season broke new ground by undertaking a study sampling for microplastic contamination in the water of the Norfolk Broads with our research team from the University of Exeter. 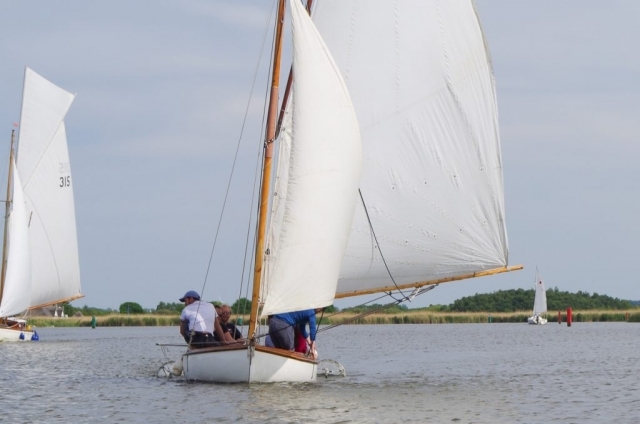 This was a world first conducted from a traditional engineless sailing boat! 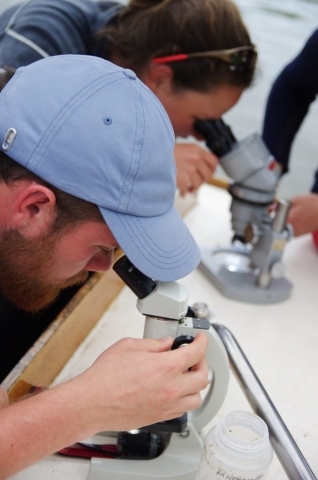 With little scientific research done on the subject we are unsure what we will find. 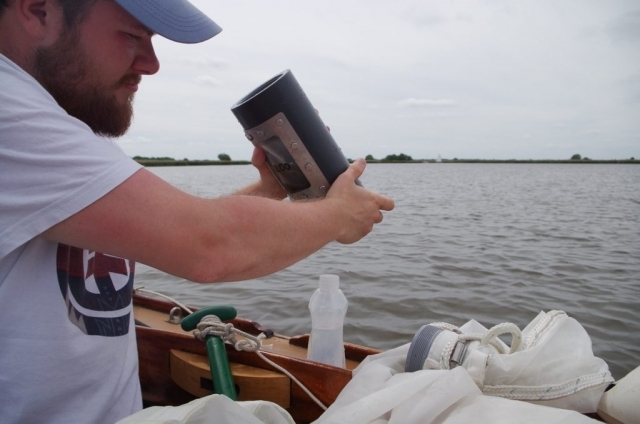 However the Broads are very low lying, slow moving bodies of water and there is plenty of human activity in the area, so despite their protected environmental status and remote, ‘untouched’ beauty, we do expect to find evidence of plastic and other contaminants. 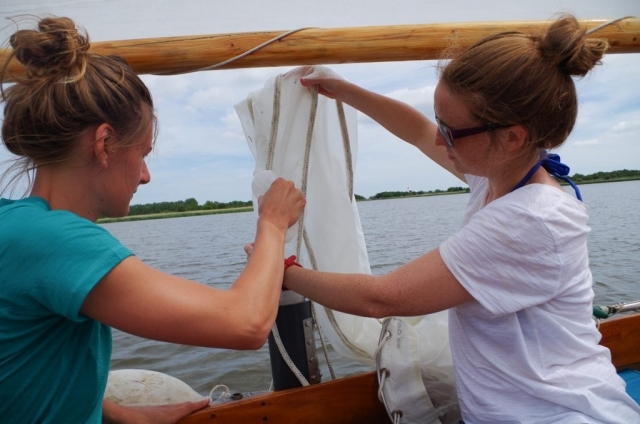 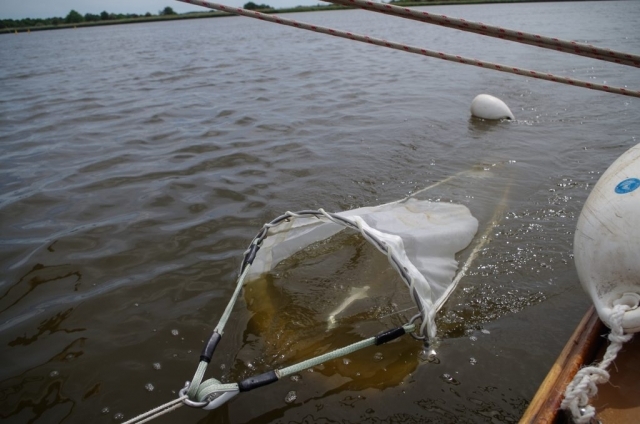 Larger pieces of plastic may be less prevalent due to limited inflow and careful management, but the presence of microfibres from laundry may enter the Broads with little possibility to disperse. 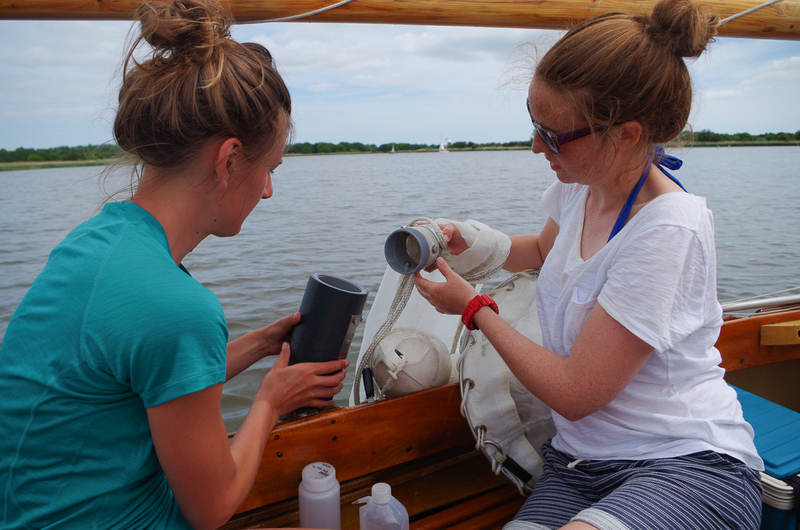 The results will be published in the coming months. 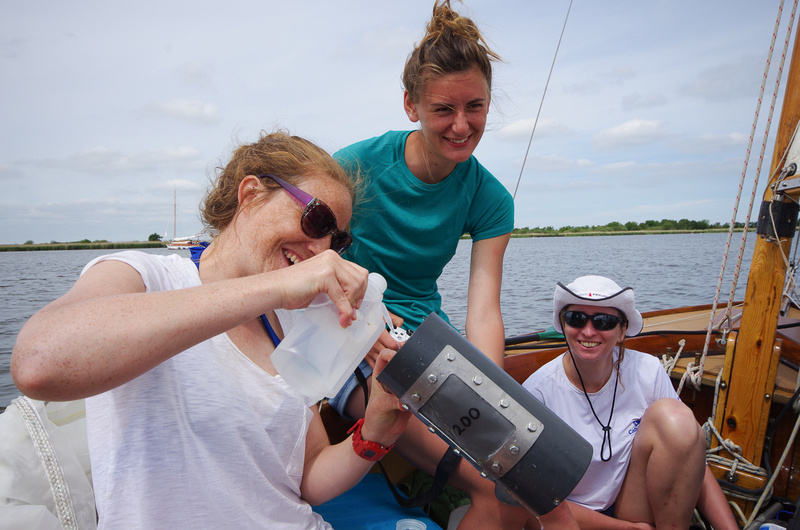 In keeping with Sail Britain’s interdisciplinary focus, we also had a creative team working alongside the scientists. Among our crew were poet and travel writer Elsa Hammond, fine artist and outdoor lover Lucy J Ashley whose work has a strong environmental focus, and trans-oceanic rower Susannah Cass.